We are dedicated to delivering innovative software solutions. Our ethos is to work with our customers to deliver change in the most cost-effective way. Formerly known as Swift DataPro (Bristol), Contender Systems (Brighton) and Sun Agile Software (Malaga), we changed our name to Agile Applications to better reflect the way we think and go about our business. We pride ourselves on our flexibility – not just in the way we work, but in how our products can work. We don’t like to think or work in silos, our expertise spans land and property administration software, environmental and waste management software, as well as citizen-focused and business/employee-oriented productivity and smart mobile applications. Our priority is helping Local Authorities to improve efficiency and value for money. And our Agile philosophy ensures that we deliver flexible systems and first-class software solutions in a shorter timeframe, at a lower cost of ownership. 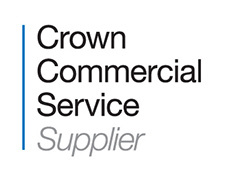 We’ve been awarded a place on the Crown Commercial Service LASA agreement (RM1059 – solutions for Planning, Building Control, Land Charges and Regulatory Services). We are also proudly listed as a G-Cloud approved supplier. Staying close to our customers keeps us moving in search of new business models, mobile technologies and creative approaches to collaborative service delivery. Our Agile solutions have already helped Local Authorities achieve outstanding subscriber numbers for new services; a success that we believe other Authorities can share, as we work with them to move to the next stage in service innovation. All of which is why our current customers span Shared Service Authorities, County Councils, London Boroughs, National Parks and District Councils across the UK and Ireland. Intrigued? Get in touch to see how we can help.